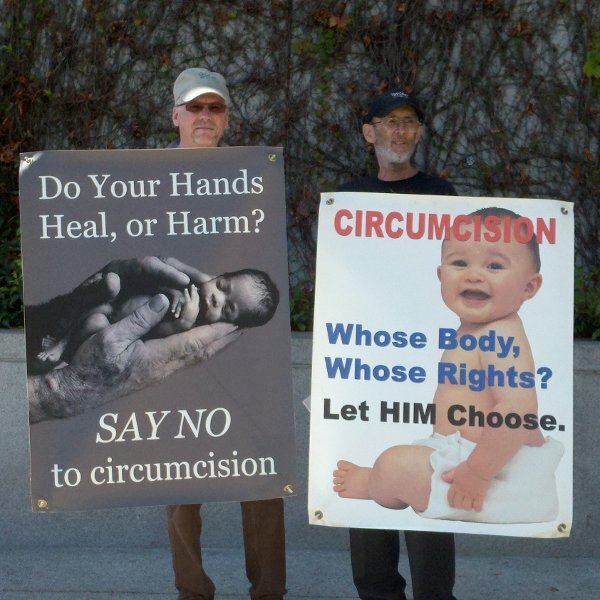 The American Academy of Pediatrics intends to release an updated Circumcision Policy Statement on Monday, August 27. Rather than discouraging doctors and parents from subjecting infant boys to non-therapeutic circumcision, an unnecessary surgery which violates a child's most basic of human rights to bodily integrity, the updated statement makes allegations that there are health benefits that justify amputating normal, healthy, erogenous tissue from non-consenting minors. Members of Bay Area Intactivists intend to make our disapproval known in front of the California 1 Chapter office of the AAP. Our protest is one of many that will take place across the United States as a result of the AAP's failure to recognize the human rights of male minors as well as the ethical responsibilities of its members to their patients. We hope that you will join us.